The artwork of Ramón Bonilla stands within the limits of spatial memory. 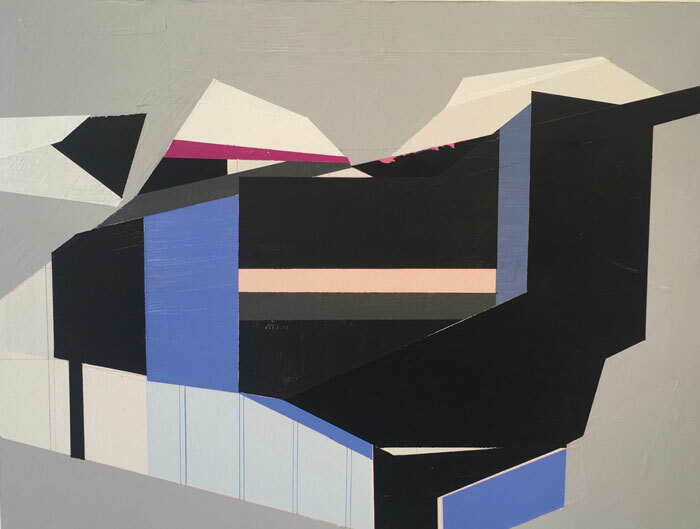 A notion of space drawn from an imaginary recalling of particular places provide the context and imagery that Bonilla uses throughout his paintings to convey pictures of the here, there and nowhere. 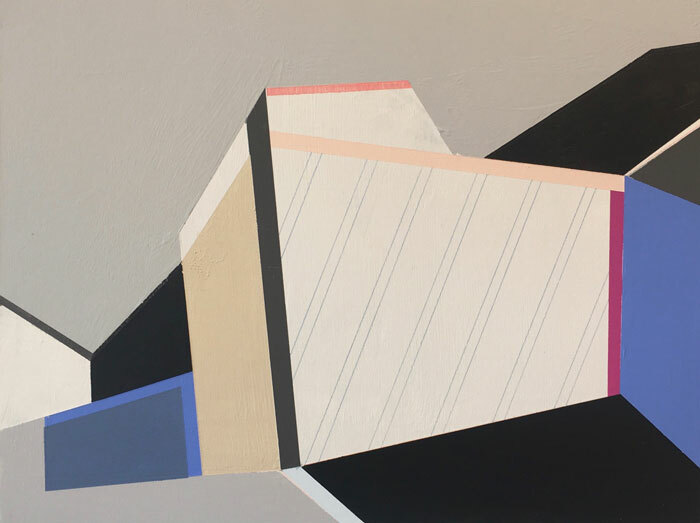 Relying heavily on the use of angles, lines, hard edges, color fields and a streamlined palette Bonilla’s paintings delve into dim borderlines where shapes at times evoke nature and the guise of architecture meet. 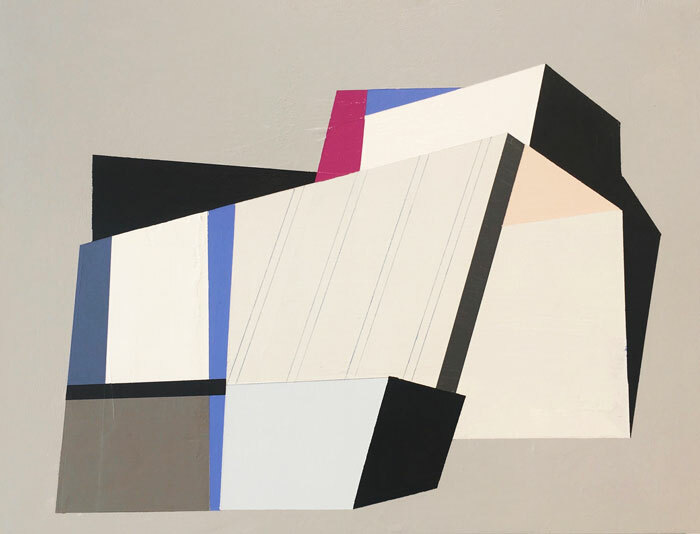 The influences of Ramón’s work range from brutalism and geometry to minimalism and low poly art. Rather than an attempt at representation, Ramón’s simulated environments act as an after-image of our ever growing number of transient surroundings. (2015 to 2017). Bonilla’s wall art has been commissioned for The Gates Building and Nexus BSP in Denver as well as Stanley Marketplace in Aurora. His work is also part of the art collection of Le Meridien Hotel Denver, The Four Season Beverly Hills and Gaylord Rockies Hotel Aurora. In 2016 Bonilla participated of Denver Architectural Foundation’s “Doors Open Denver” and Westword’s Artopia. During that time he also presented “Built To Suit” at Michael Warren Contemporary. He has been part of two Redline resident art shows, “Monumental” (2016) and “Nice Work If You Can Get It” (2017). 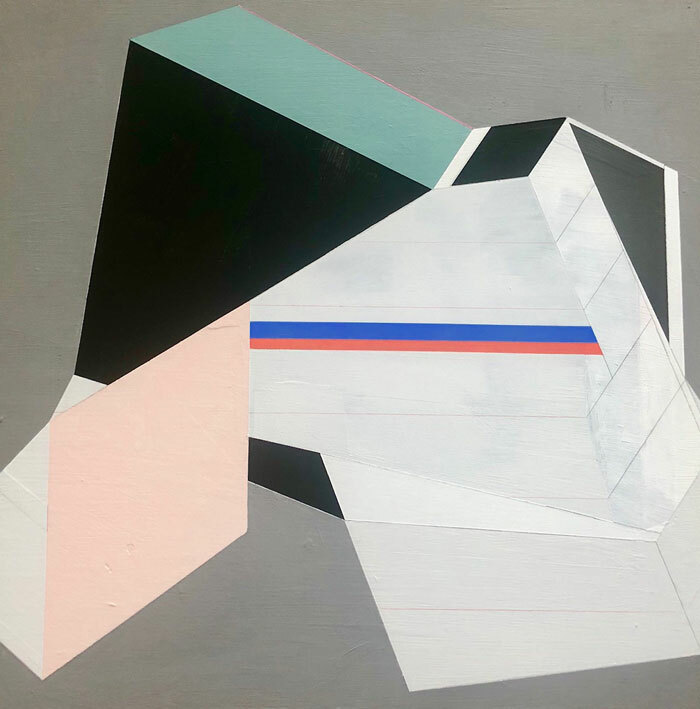 Bonilla curated “(R)evolver” for Redline’s Reach Program and also “Downshifting” (2017), an international collective of reductive art, shown at Redline Denver and supported in part by the Danish Consulate in Denver. In 2017 Bonilla was also featured on Westword’s 100 Colorado Creatives 3.0. As a member of the international art group Direction/Instruction organized by Hyland Mather; Bonilla showed his work at Paradigm Gallery in Philadelphia. 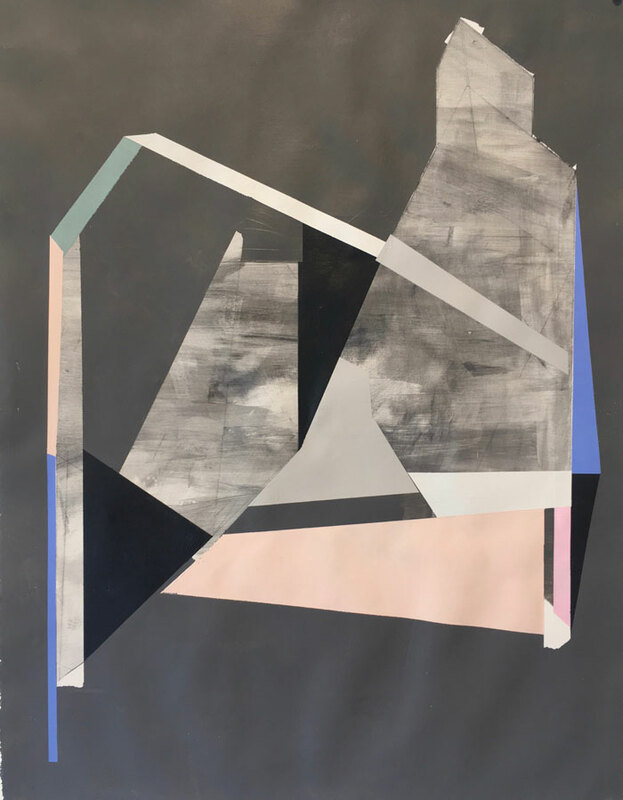 This year his work became part of a show at The Foothills Art Center about the housing crisis in Denver titled “Finding Home.” His work was also included in a group show titled “Paisatari Vol II.” presented at Galeria Project Art at Tampico, México. This year he is presenting Illuminati DIA at the Denver Theater District as part the Understudy experimental space and is also participating of In Sight On Site: Murals at the Arvada Art Center as part of In Sight On Sight. Bonilla will be participating of a show at Albuquerque’s 516 Arts titled Puerto Rico: Defying Darkness. Bonilla’s has been recognized by Westword, The Government Development Bank Puerto Rico, U.S. National Park Service, Museum Of Contemporary Art Puerto Rico, Saatchiart.com and Artslant.com. His work has also been included in Artnet.com, Artsy.com, Puerto Rico Art News, Autogiro, ArtMaze Mag and Go Play Denver. In the past Bonilla has been represented by Michael Warren Contemporary. 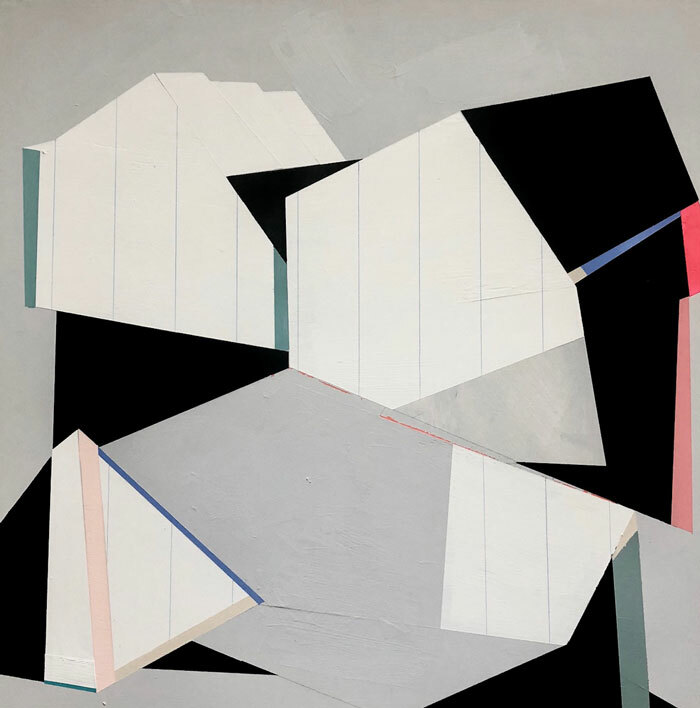 Ramón Bonilla’s work examines the concept of place through landscape and architecture by integrating a seminal approach to minimalism, geometry, brutalism and low-poly art. In his work there is an underlying concern with material resourcefulness and the environment. Ramón Bonilla has a BFA from Escuela de Artes Plásticas de San Juan, Puerto Rico.